It’s an early start with this afternoons post today as our web hosting provider has some scheduled maintenance planned from 4pm. We’re as fed up about it as you are, but we’ll be back bright and early tomorrow to resume usual wedding pretty provision ;). In the meantime, enjoy Part 2. AMENDMENT – SCHEDULED DOWNTIME HAS BEEN RE-SCHEDULED… Sorry! Welcome back for Part 2 of this modern take on the elegant country wedding. Rachel and Tom added lots of unique touches to make their wedding stand out and the groom manages to equal his lovely wife’s attire in the style stakes! No mean feat in a Vera Wang Gown. 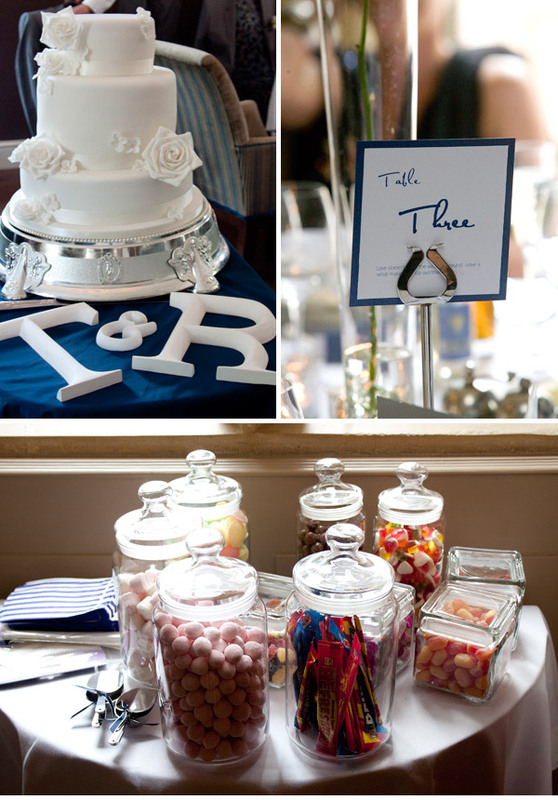 All the lovely images are courtesy of Claudine Sinnett from Moments Captured Photography. Tom didn’t want to go for the traditional wedding attire of morning suit or tails and so we decided to let all the men in the bridal party pick out their own grey suit and bought them each a matching blue/grey/white striped tie from COS. Tom found his suit in Hugo Boss, his shirt was from Thomas Pink, shoes Kurt Geiger and VERY skinny tie was D&G. We bought Tom and his best man some great orange and cream stripy socks from Urban Outfitters; everyone had a little giggle at them during the ceremony when Tom and I had to kneel and gave all our guests a little flash. I don’t very often get the opportunity of seeing Tom looking so smart as he has a manual job and dresses quite casually at the weekends so when I saw him stood at the bottom of the aisle, I thought he looked quite dashing. He had his suit tailored to fit him perfectly which I thought was definitely worth it. I asked Tom to turn around when I was walking down the aisle as I knew I would be nervous and he did do with a big smile on his face. Before I knew it, I was stood next to him holding his hand. 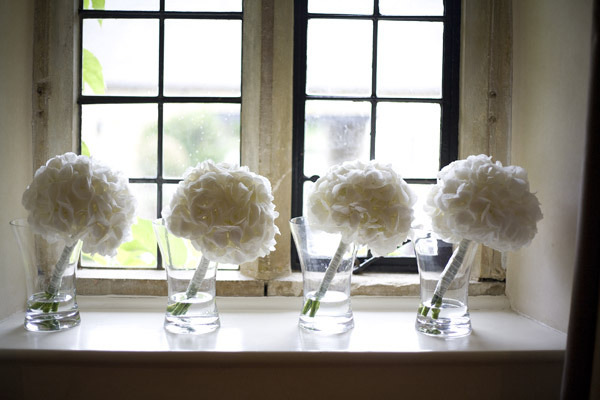 We chose a classic neutral colour palette for our flowers. My bouquet included white hydrangea and cream avalanche roses and the bridesmaids all held a bouquet of white hydrangeas. The men’s button holes and ladies corsages were made up with cream spray roses. Our table centres were tall arrangements of white hydrangea, cream roses and white delphiniums with a single cream rose in the stem of each vase. We also had a couple of arrangements at the church which were then delivered to the venue consisting of the same flowers as the centre pieces. We decorated a fireplace in the main reception area of the venue with single roses and hydrangea heads of different heights in small vases. All our flowers were supplied and arranged By Lorna at POD. Claudine from Moments Captured was our photographer along with her assistant Tash. I didn’t want too many posed shots as we didn’t want to spend hours away from our family and friends, plus neither of us are great in photo’s – saying that Claudine managed to capture some lovely ones of us together. Her pictures say it all really! I was always drawn to cakes designed by the US cake designer April Reed; they are quite classic and simple with a modern twist. After a bit of searching I came across Anna Tyler Cakes in Bristol and she didn’t disappoint, not only did the cake look fab, it tasted great too. We went for a four tier cake to look like a 3 tier as the middle tier was double height. Each tier was a different flavour – vanilla, chocolate and lemon sponge. The cake was decorated in plain ivory icing with rose sugar flowers and hydrangea petals scattered over the whole cake, finished off with an ivory ribbon around the bottom of each tier. Our invites and save the dates were from Momental Designs in the US and I came over all creative and made all the stationery for the day using the same font and colour scheme to tie in. 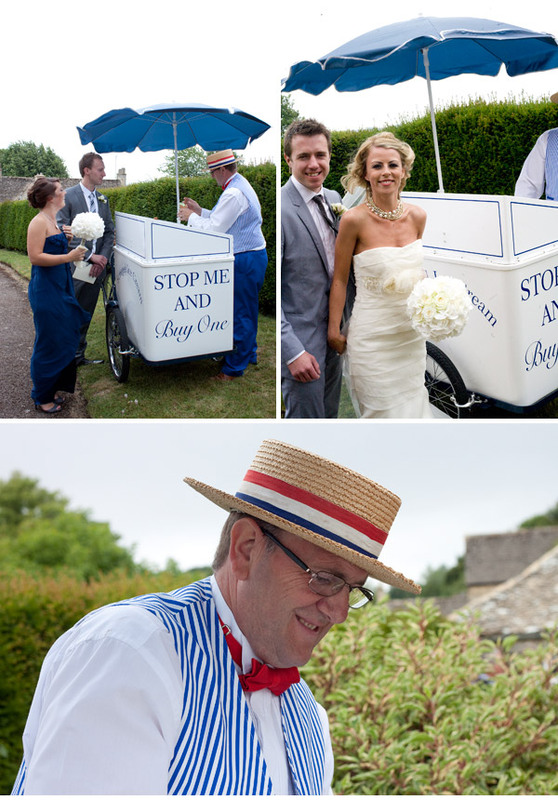 We organised for an old fashioned tricycle to arrive at the church after the ceremony to serve all our guests an ice cream. 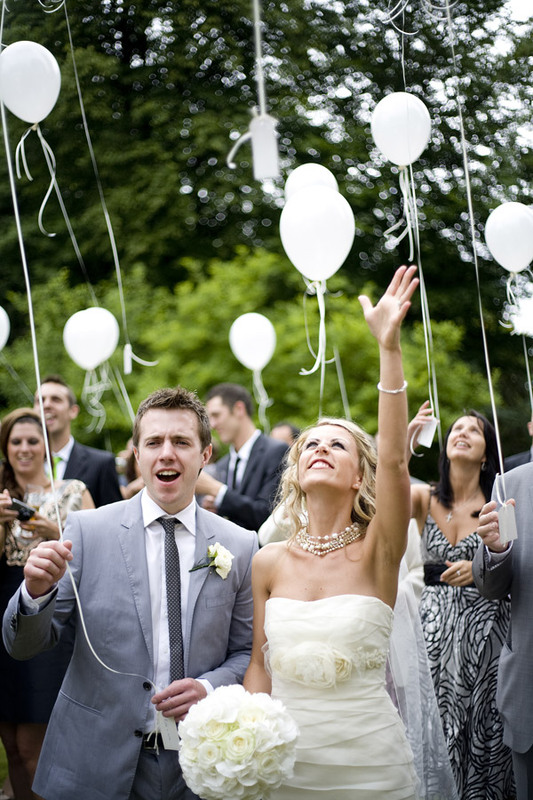 We also arranged for 80 white balloons to be handed to each guest during the drinks reception. Tied to the bottom of the ribbon was a little luggage tag with the wording ‘Make A Wish…….’ On the count of three everyone released them into the air along with our wishes. Let’s hope a few come true! We went for both a dj and band for our evening entertainment and a singer/ keyboard player during the drinks reception. Our band was Carl Sinclair, the way I always describe them is that they have a similar style to Jamie Cullum. Everyone absolutely loved them and a couple of our friends are planning on using them for their forthcoming weddings/parties. The drummer also went down extremely well amongst the female guests….not so sure the men were quite so impressed!! We had a bit of a nightmare with the dj as our original dj cancelled on us a couple of weeks before the wedding and so I frantically searched for a new one to step in at short notice, which meant I couldn’t be too picky, however he did a good job. We didn’t want anything too formal for our drinks reception and hired a girl called Anna Palmer (also known as Little Palm) to sing and play the keyboard. Her style is quite chilled and easy listening, a little similar to Adele. 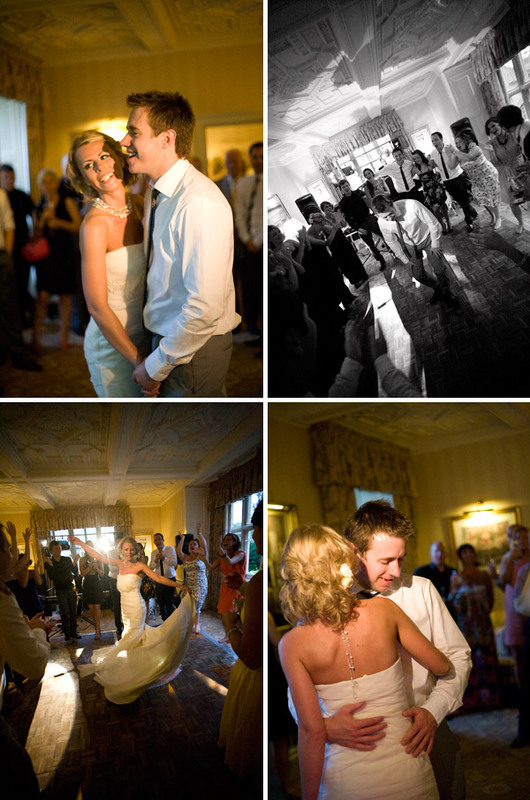 We chose Your Song by Elton John for our first dance as it’s always been one of both of our favourite songs. It’s lovely to see so many RMW touches in this wedding made completely unique and personal to Rachel and Tom. Thanks go to both of them for sharing the day with all of us here at Rock My Wedding, and thanks also to Claudine from Moments Captured for sending it in. Moments Captured is a Rock My Wedding Sponsor, however all real wedding submissions are chosen on individual merit and no part of this wedding has been sponsored. heart the orange nails to match the choos! beautiful beautiful beautiful!!! Wowzers. I love the balloons. Are they more eco than those sky lantern things? The boy and best friend have an issue with sky lanterns. I shall investigate balloons. Congratulations to you both, looks like a lovely wedding! Ditto on the table florals request please! We’ve read about them, but can we see them, pretty please? 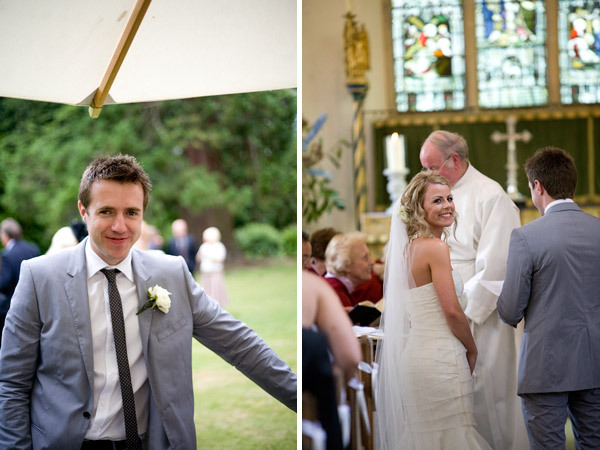 Love, love, love the veil in his face picture! 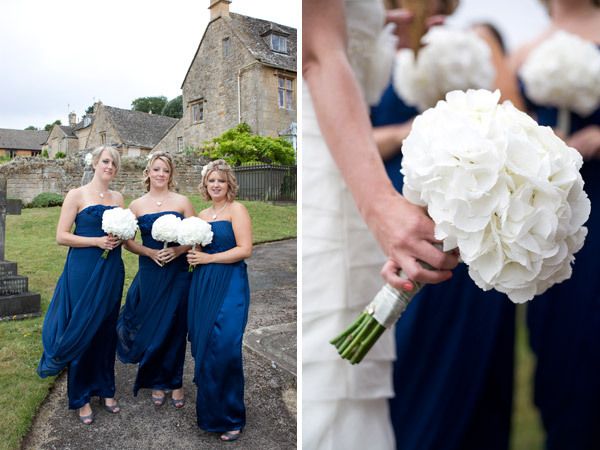 What a beautiful wedding – loving the flowers! With regards to sky lanterns and being green – I’m sure one of my b&gs had lanterns that didn’t have the metal cages inside – instead the structure was made of wool (more expensive but much better for the environment and can be ingested by animals without harm). Stunning!! J’adore the pop or orange! Stunning!! J’adore the pop of orange! oh my gosh, those flowers, those shoes, those balloons….swoon…..
Those balloons…may have to steal that idea. Looked and sounded bloody fantastic! Rachel, Truly an amaziung wedding. As a friend who admires your style, you really didn’t dissapoint!!! All of those special touches you thought of didn’t go un-noticed. I would have you help me plan my wedding any day ha! Hi everyone, I’ve also got a few shots of the table designs, which I will forward onto Rachel. Lovely bride, really enjoyed doing this wedding. Lorna @ pod – Rachel’s florist. Ha ha ha! I had to refrain from commenting on them again – so funny that you all know me so well to comment for me! 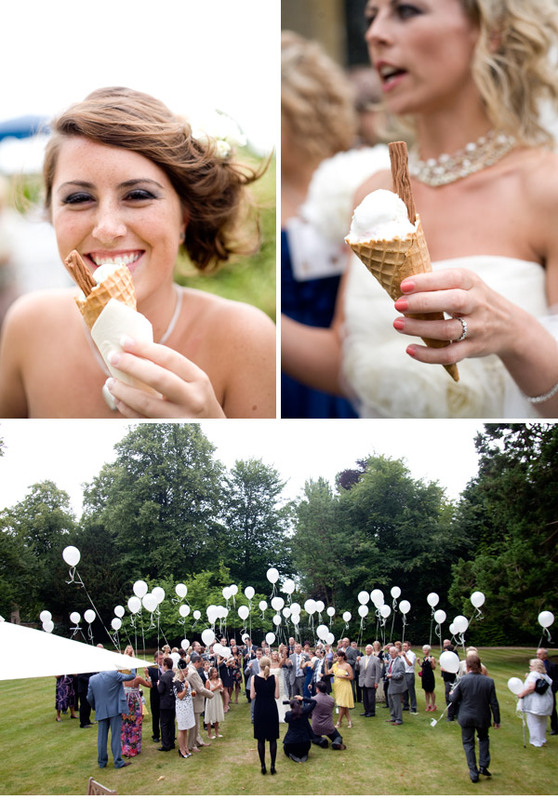 Gorgeous – also quite obsessional about ice cream so loved that too. Would anyone like to buy a kidney so I can buy a Vera? It is just so darn beautiful…. Great tip on the wool sky lanterns. They still get stuck in tractor’s and things (wedding on farm = irate neighbours). Does anyone else have any suggestions/tips. I’m still loving the baloons though. I saw a wedding on YAYW where they had red hearts which looked amazing too. Rachel – GORGEOUS! So was your dress, groom and entire wedding. Nails… what nail varnish did you use? Wrt sky laterns the wedding lady at my venue mentioned last night that the Govt. is proposing to ban them at some point early next year due to the fire risk & injuries that are being suffered by farm animals. What a gorgeous wedding 🙂 You looked stunning in that fab gown ! Would you mind divulging your necklace source – as I’ve been trawling for that sort of thing for ages ? wow the bride looked so amazing. what a dress too. and the ice cream man! what a treat. awesome wedding.